Photo Source: Mace Group via The Independent. Artist rendering of the completed building. 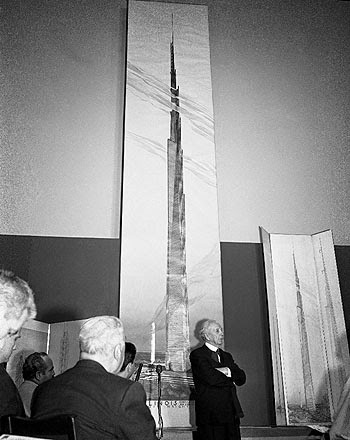 Previously, we featured (click here) a posting on a proposed skyscraper Kingdom Tower (in the illustration below at far left) that if built would be the tallest building, replacing the Burj Khalifa (second from the left in the illustration below). 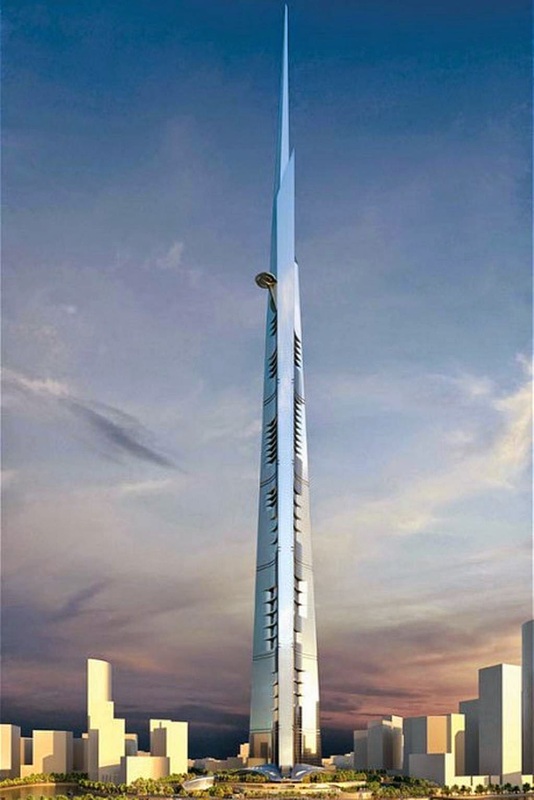 This will dwarf the Burj by approximately 600 additional feet. This illustration shows just how much taller this new building will be. It also shows the tallest buildings in 2020, as currently proposed. As you can see this thing dwarfs everything. The taller, the better is m y motto! Photo source: http://blog.construmatica.com based upon information from Council of Tall Buildings. The next architectural achievement is scheduled to begin construction next week in the new Saudi Arabian city Kingdom City in Jeddah. 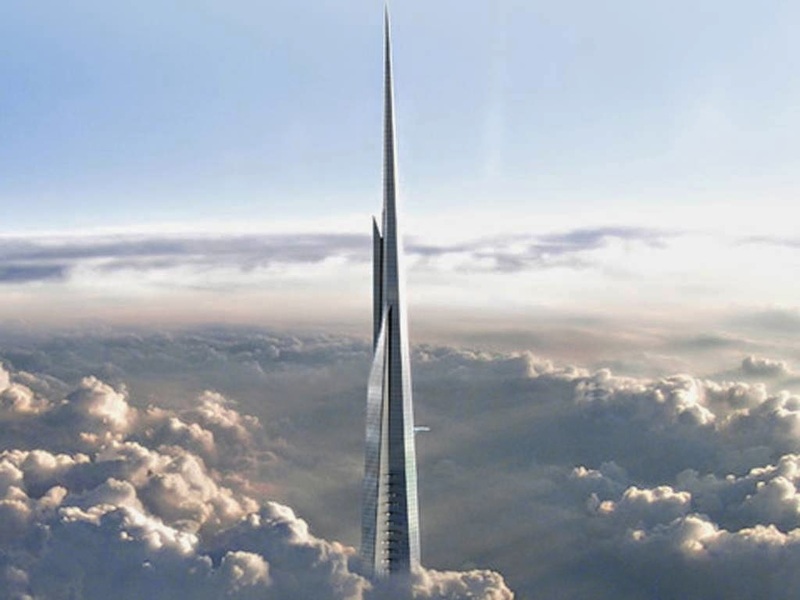 Once completed, the skyscraper will be 1km (3,280 feet) high and 200 floors. That's approximately two thirds of a mile. Truly Astonishing. Why is it that mankind can create such astonishing profound achievements when we still act like cave men with our political warring and religious conflict? 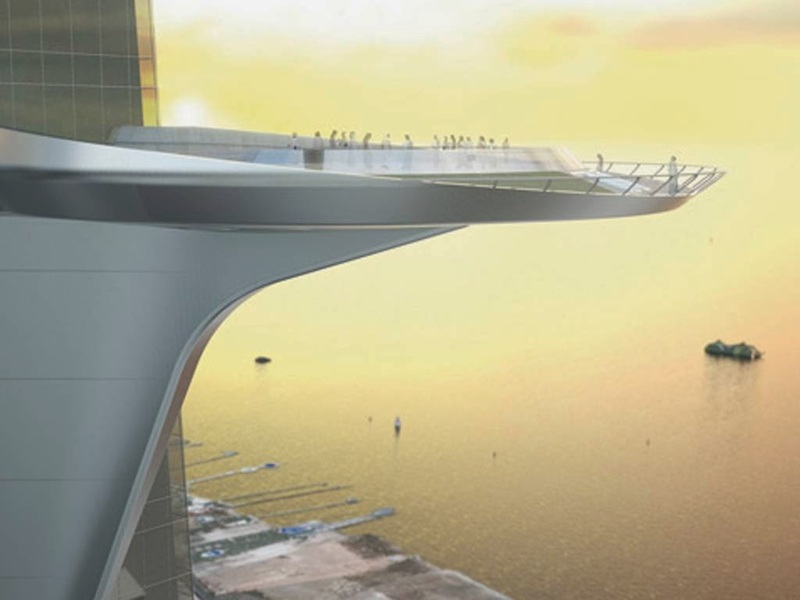 The towering structure will feature 98-foot terrace on the 157th floor. I don't think it's possible to even truly understand the extraordinary height and accomplishment that this building will be. The two photos below give just a hint of perspective. Frank Lloyd Wright proposed in 1956 a mile high tower. 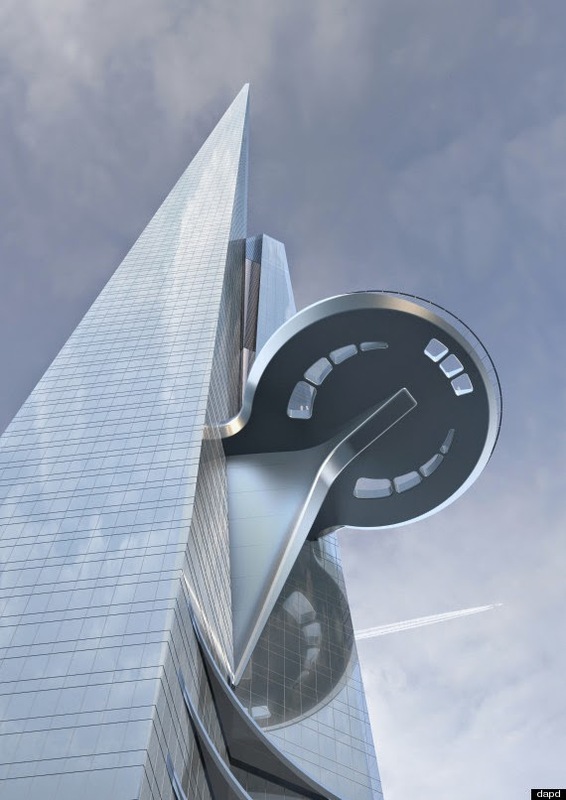 Kingdom Tower seems both inspired in design and certainly in ambition of a mile high. The original specifications for Kingdom Tower were that it would be a mile high but it has been scaled back….but not by much! Photo Source: Looking up at the terrace. This perspective gives a hint at how massively tall this building will be. Photo source: Urukia via Huffington Post. Model of Kingdom Tower currently under construction. Photo Source: www.steinerag.com. Frank Lloyd Wright Press Conference, October 16, 1956. The building is projected to cost US$1.23 billion. 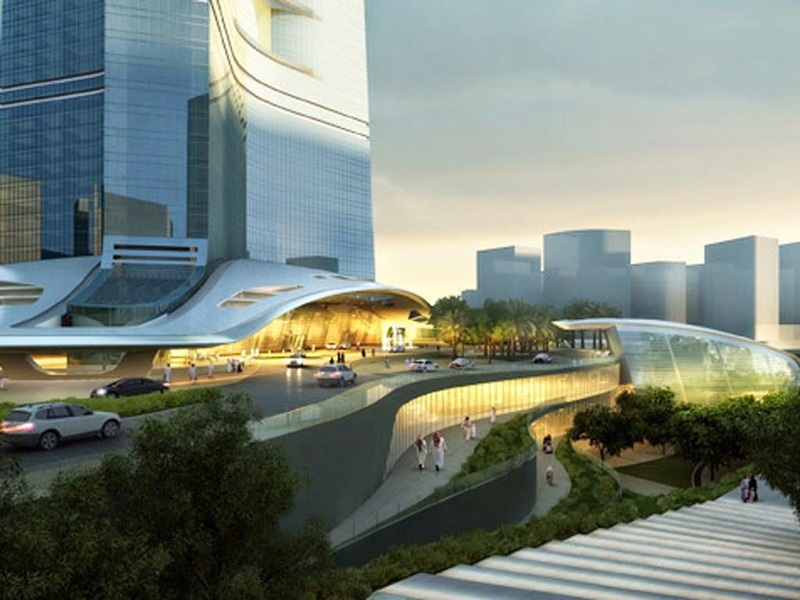 It was designed by American architect Adrian Smith, who also designed the Khalifa tower. The tower is being built by Saudi Arabian Prince Al-Waleed bin Talal, the wealthiest Arab in the Middle East and nephew of King Abdullah. Prince Al-Waleed bin Talal is Chairman of the Board of Kingdom Holding Company who is spearheading the creation of the creation of this new city, Kingdom City. The overall budget for Kingdom City is currently estimated at US$20 billion. Kingdom City will be located just north of the the coastal city of Jeddah and essentially creating a new district in the metropolitan area. Photo source: The Independent. Artist rendering of the completed building by Mace Group. This is such a giant leap for mankind (sorry for the cliche). Last century it was the US that drove such achievements. This century it appears to be the Middle East/Asia that is truly pushing mankind forward as far as accomplishment.